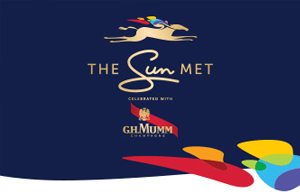 Do It Again may have been the bookie favourite to win the Sun Met at Kenilworth on Saturday, but in the end, it was Rainbow Bridge who grabbed the honours. Before the race, it was understood that Do It Again was tipped to win the R5 million 2,000 meter race, cementing his status as the best horse in the country. However, it was Rainbow Bridge, partnered by Anton Marcus who eventually raced first to the finish line, despite his questionable temperament. Before the race, Do it Again’s rider, Richard Fourie sang the horse’s praises, ensuring punters that the four-year-old would remain unbeaten. Last year, Do It Again won the Vodacom Durban July, as well as the 1,600 meter Queen’s Plate. But many warned the rider for being too confident and told him not to ignore the threat the Rainbow Bridge and several other horses presented. Another rival was seen in the filly, Oh Susanna, who was ridden by Bernard Fayd’Herbe. Thirteen horses lined up at the course on Saturday, the ninth race in the event’s history. After the Sun Met on Saturday, Fourie was called in to explain his ride on Do It Again and his second-place finish.